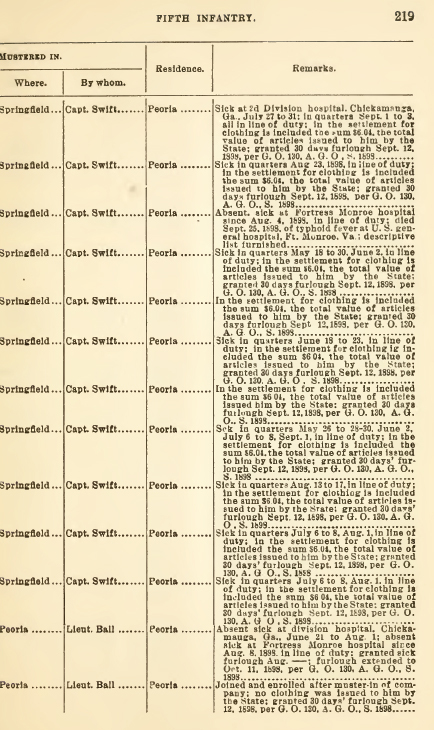 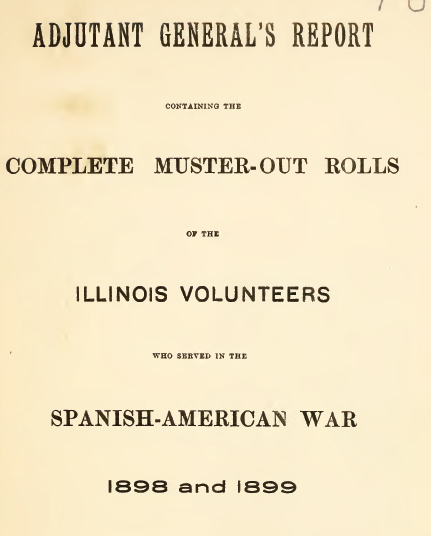 Adjutant General's Report Containing the Complete Muster-Out Rolls of the Illinois Volunteers Who Served in the Spanish-American War, 1898 and 1899 is a collection of five volumes published by the State of Illinois. 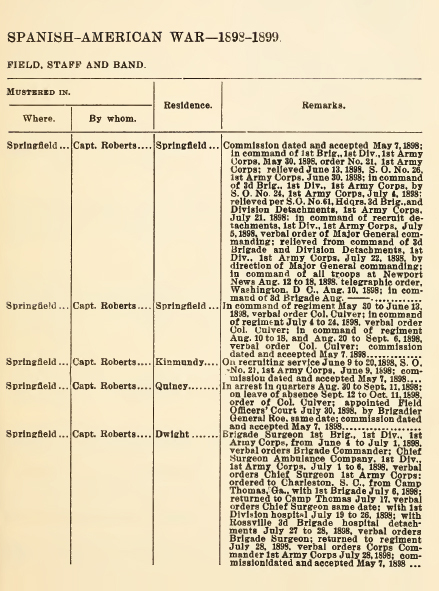 Each volume includes important biographical details of the men who served from Illinois during the Spanish American War. 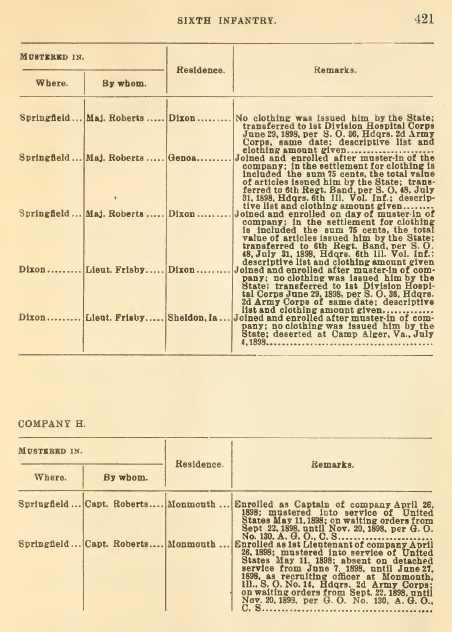 This is a great reference set for Spanish American War researchers and genealogists researching the Spanish American War era of Illinois.